Home › Ethical issues › What’s wrong with drones? While some insist that armed unmanned drones are effectively no different from other military aircraft, there are two important differences. Firstly they can be operated remotely over very great distances via satellite links. While the drones themselves are located near the point of operation, once they are launched, control can be handed over to pilots sitting thousands of miles away. The second major difference is persistence. Due to the lack of any crew on board, drones can remain airborne far longer than a piloted aircraft. While a typical fast-jet can remain in the air for around 8 hours before the crew become fatigued, drones can fly far longer. Reaper and Predator missions typically lasting between 16 and 20 hours, and the length of time drones can stay aloft is being extended all the time. Crews simply change shifts on the ground while the drone remains in the air. This remote operating together with a greater persistence is a real difference and seen as a important strategic advantage by the military. Some commentators try to make the point that there has always been remote warfare, flippantly citing the longbow and the trebuchet (a roman catapult) as examples from the distant past. But that is nonsense. The ability to control weapons at vast distances while being in no personal danger, combined with their ability to loiter for many hours looking for ‘targets of opportunity’ (rather than the say the one-off shot a cruise missile) is a significant difference that is having a real impact on warfare. To put it briefly, the ability to be ‘remotely persistent’ makes armed drones significantly different from other armed aircraft. In modern times, there is a real political cost to launching military intervention. Politicians know that the public do not like to see young men and women sent overseas to fight in wars which often have remote and unclear aims. In particular the public do not like to see those same young men and women return in body bags and coffins. Potential TV footage of grieving families awaiting funeral corteges is a definite restraint on political leaders weighing up the option of military intervention. Takeaway that potential political cost however by using unmanned systems, and it makes it much easier for political leaders to opt to use lethal military force. Drones swing the balance away from engaging in the often difficult and long-term work of solving the root causes of conflicts through diplomatic and political means, towards a quick, short-term ‘fix’ of ‘taking out the bad guys’. While it’s still early in the drone war era, we know that the US has used armed drones in Iraq, Afghanistan, Pakistan, Yemen, Somalia, Libya and Syria, and there been unconfirmed reports of US drone strikes in Mali and Philippines. Israel has used its armed drones in Gaza but also reportedly in Sudan and Egypt. The UK has used its armed drones in Afghanistan and Iraq and RAF aircrew have flown US drones in Libya, Iraq and also Afghanistan. In September 2015 the Prime Minister announced that UK armed forces had carried out the targeted killing of British citizen Reyaad Khan in Syria using a Reaper drone. 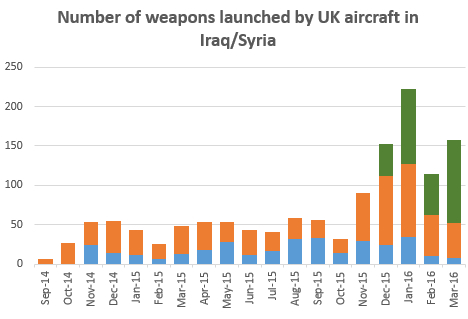 For the first time the UK had carried out a targeted killing outside a conventional UN authorised armed conflict. Despite often distancing itself from this kind of killing, the UK it seems has been unable to resist the temptation once the system is in the armoury. Once the UK has acquired more such systems as David Cameron announced in October 2015, it may be harder to resist the siren call to ‘send in the drones’ each time a crisis develops as there is no perceived cost to doing so. 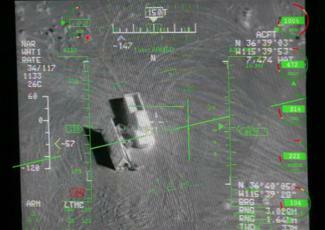 2) Drones: Video game warfare? Separate, but connected to the idea that drones lower the threshold for using lethal forces is the notion, as Philip Alston the former Special Rapporteur on extra judicial killing, put it of the ‘PlayStation mentality’. Alston and others suggest that the vast physical distance between those operating armed drones and the target of a drone attack makes that act of killing much easier. The physical distance induces a kind of psychological ‘distancing’. Rather than seeing and understanding that the target in the crosshairs is a real, flesh and blood human being, all that is seen is an unreal image; all that is perceived are dehumanised pixels on a screen. This, as Alston pointed out, may be particularly true for pilots who play increasingly realistic war video games. There are strong objections to this notion. Drone pilots, it is argued, are highly trained professionals that are able to distinguish between video games and real life. In addition, there is a chain of command that means the drone pilots are not free to pick and choose targets without going through rigorous processes. Furthermore it is reported that some drone pilots are suffering from stress from having to watch the results of their strikes. Despite these arguments there is some evidence for a ‘PlayStation’ mentality. 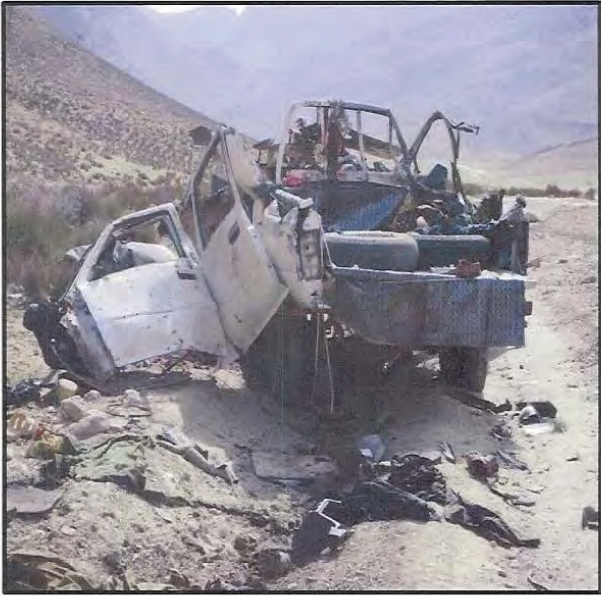 In 2010 an Afghan convoy of vehicles was hit by an airstrike involving drones in which 23 non-combatants – men, women and children – were killed. The subsequent USAF investigation attributed a large part of the blame to the Predator drone crew at Creech which it described as having “a propensity/bias towards kinetic operations.” The transcripts of the conversations between the Predator crew and intelligence analysts watching the live video feed from the Predator make it clear that the Predator crew wanted to attack and (again quoting from the USAF report) “ignored or downplayed” evidence suggesting the convoy was not a hostile target. While this is only one piece of evidence, and not enough to make a definitive case, the idea can’t simply be dismissed out of hand. At the very least there needs to be much more transparency about the day-to-day use of armed drones. Perhaps the most controversial use of armed drones has been their use by the United States, Israel and now the UK for targeted killing. Legal scholars define targeted killing as the deliberate, premeditated killing of selected individuals by a state who are not in their custody. Where International Humanitarian Law (IHL) applies targeted killing of combatants may be legal. Outside of IHL situations, International Human Rights Law applies and lethal force may only be used when absolutely necessary to save human life that is in imminent danger. This does not appear to be the case for many of the US drone strikes that have been carried out in Pakistan and Yemen. The United States insists it has lawful authority for such strikes under the Authorization for Use of Military Force Act (AUMF) passed in the days after 9/11, as well as in the inherent right of self-defence under the UN Charter. Many legal experts and scholars, not least the former and current UN special rapporteurs on extra-judicial killings, strongly question the US position. While some argue that it is the policy of targeted killing that is wrong, not the weapon used to carry out it out, it is very difficult to imagine that US would have undertaken the wholesale expansion of targeted killing without the technology. Because they can be used remotely and persistently, drones are perhaps ideally suited for targeted killings. In Afghanistan, it appears that the UK used its Reaper UAVs to carry out targeted killings (within the context of a UN authorised intervention) although due to the lack of transparency surrounding the use of British armed UAVs it has not been possible to confirm this. We know from published RAF operational updates that UK Reapers have tracked “high value” targets for many hours before finally launching weapons. The targeted killing in Syria of British citizen Reyaad Khan by an RAF drone (followed three days later by the killing of Junaid Hussain by US forces in co-operation with the UK) has caused huge controversy amongst human rights groups and legal scholars. Prime Minster David Cameron told the House of Commons that the killing of the two men was legal as “it was necessary and proportionate for the individual self-defence of the UK.” However it was also suggested that the men were put on a target list earlier in the summer meaning that the killing in August was likely not in response to any imminent threat. Legal experts emphasise that to be lawful under the self-defence framework such action must be “instant, overwhelming, and leaving no choice of means, and no moment for deliberation”. While in the House of Commons David Cameron told MPs that the strike “was not part of coalition military action against ISIL in Syria”, in a formal letter to the United Nations reporting the strike, the UK stated that its military actions in Syria was also “in the collective self-defence of Iraq,” an entirely new and different legal argument. While the legal arguments are complicated and confusing it is surely right that the government sets out clearly for the public and parliamentarians the legal basis for killing a British citizen in a country in which the UK is not at war and for which UN authority has not been granted. Note this is not the same as asking the PM to publish the formal legal advice it has received from the Attorney General, nor to publish intelligence about this particular strike. Again it has to be asked if the UK would have carried out such an operation if they did not possess such technology. 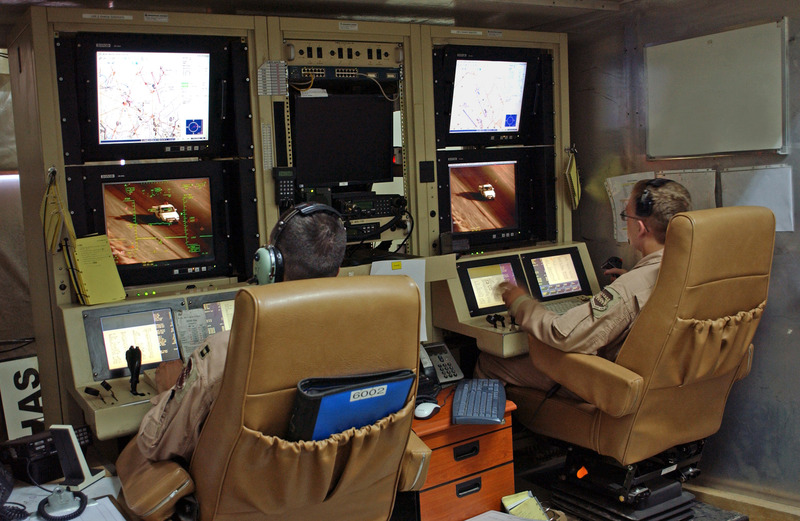 Drones are helping to rehabilitate the very idea of war. Drones permit, we are told, precision airstrikes that cleanly and accurately ‘take out’ the bad guys while leaving the innocent untouched. Drone advocates seduce us with the notion that we can achieve control over the chaos of war through technology. However, as Professor Maja Zehfuss of Manchester University points out “Faith in precision bombing… requires an under-examination of the actual practicalities of precision bombing and the ways in which ‘precision’ has been defined.” The reality is that there is no such thing as a guaranteed accurate airstrike While laser-guided weapons are without doubt much more accurate than they were even 20 or 30 years ago, the myth of guaranteed precision is just that, a myth. Even under test conditions only 50% of weapons are expected to hit within their ‘circular error of probability’. Once the blast radius of weapons is taken into account and indeed how such systems can be affected by things such as the weather, it is clear that ‘precision’ cannot by any means be assured. It is of course difficult to assess the precision of drone warfare without empirical data and there is a distinct lack of transparency around the use of drones. While we have some data about the impact of drones strikes in Pakistan from organisations like the Bureau of Investigative Journalism (TBIJ), who report that between 400 and 950 civilians have been killed in US drone strikes there, across the border in Afghanistan where there have been far more drone strikes we have very little information. One US military analyst, Larry Lewis, who has studied classified military data on drones strikes in Afghanistan (although he is unable to release the information) told The Guardian that missile strikes conducted by drones were 10 times more deadly to Afghan civilians than those performed by fighter jets. But ‘precision warfare’ is promoted both by the arms manufacturers and the military as a way of persuading us that war can now be ‘humane’, indeed that war is no longer the hell it once was. The problem is that the media the public and more importantly politicians have fallen for this rather Hollywood notion of air warfare and drone strikes. Indeed there appears to be such faith in the accuracy of these systems that we are now much more willing to undertake airstrikes in areas which, previously, because of the presence of civilians, would not have been countenanced. This is yet another way that drones are expanding the battlefield. 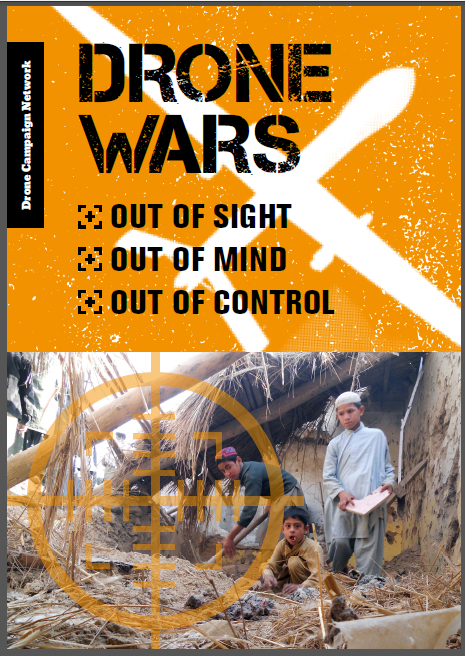 As well as these direct concerns from senior counter terrorism experts, a number of recent reports from human rights and development NGOs have detailed how the use of armed UAVs – and in particular their use to loiter over particular areas for long periods of time before launching attacks – is causing severe mental trauma to the local populations, disturbing children’s education, and disrupting food production. To many, drones are a modern marvel. 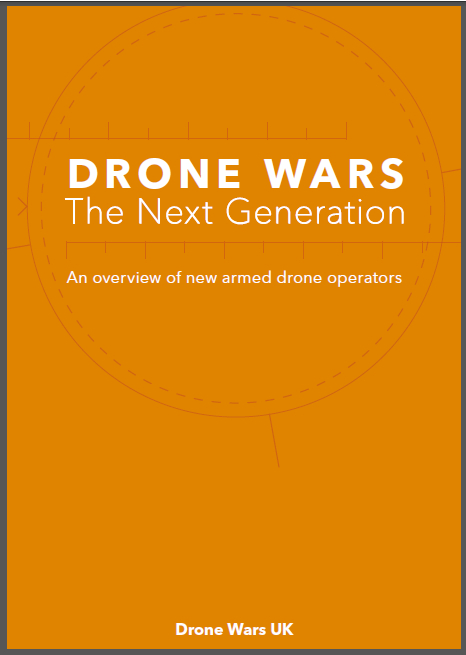 The Economist declared in 2011 that ‘the future belongs to drones’ while Reuters argued that armed drones are ‘the perfect weapon for a war-weary nation on a tight budget.’ But as we have seen there are huge problems surrounding the growing use of armed unmanned systems. The use of armed drones is already undermining the laws of war and eroding human rights protections put in place to safeguard both combatants and civilians alike. There is also a real fear that the ‘risk free’ nature of these weapons is lowering the threshold for using lethal force, meaning that we are likely to see more warfare in the future. The growing use of armed drones and the concept of remote, risk free war is a serious military escalation. In short, armed drones are simply making the world a more dangerous place. Text copyright © Chris Cole, Drone Wars UK. Images maybe subject to copyright. Free to re-produce with attribution. See David S. Cloud, Anatomy of an Afghan war tragedy, Los Angeles Times, 10.April 2011; . Michael Boyle, The costs and consequences of drone warfare, International Affairs, January 2013. 1. The ‘enemy’ is deliberately locating themselves within civilian populations making the use of fixed-wing aircraft more dangerous as pilots would be reluctant to engage. The persistence of uav/drones allows the operator to choose a more measured and optimum time to engage with the ‘enemy’ minimising the possibility of civilian deaths. 2. By forcing us to engage the ‘enemy’ who are placed in the centres of civilian populations, they have a headstart in the 24 hour media war, putting us on the back foot in terms of public opinion. Uav/drones have their reputation diminished as a result of this. 3. With a robust and clear chain of command, there is no reason to separate uav/drones from traditionally manned aircraft. It is the maintenance and enforcement of this robust chain of command that is key to maintaining ourselves on the ‘right’ side of war. 4. Whilst it might be different in the US, I do not know of any politician that takes the decision to go to war lightly. They might not do it for the most honourable of reasons, but I think that there are very few pure-psychopathic sociopaths in power. 5. If the article was anti-war (which I believe it is), then the article would also make comment about the appropriateness of using manned aircraft. This piece appear to suggest that the only wars that should be fought by people who are on the front line. Unfortunately, in the modern era, the front line can be a continent away, not just behind the next sand-dune. Thanks for your comments Will. You say that ‘the enemy is deliberately locating themselves within civilian populations’ yet as you are probably aware, many of those who are fighting are from the civilian population. I was at RAF Waddington on Friday from where British drones strikes are launched in Afghanistan and this too is ‘located within the civilian population’ with the base surrounded by houses and a school. Is this a dirty trick too or is it only when ‘the enemy’ does it? And of course nobody is “forcing us” to launch airstrikes in Afghanistan. I’m not arguing that you have to be a ‘psychopathic sociopaths’ to launch a war. The problem with drones is that it makes it more easier – more expedient – to launch an attack rather than engage in political solutions. Finally the ‘frontline’ is continents away because we have chosen to travel thousands of miles away from our shores to launch attacks. If we didn’t choose to launch wars continents away we would need to go there. However, I think you’re being slightly reactionary by describing RAF Waddington as being ‘located within the civilian population’. This is no doubt true geographically, but the point I was attempting to make was that ‘the enemy’ takes this idea to its extreme by deliberately placing human shields in the way to force civilian casualties under the cover of weddings, public rallies etc – with the inherent advantage to them in a 24hour media frenzy. 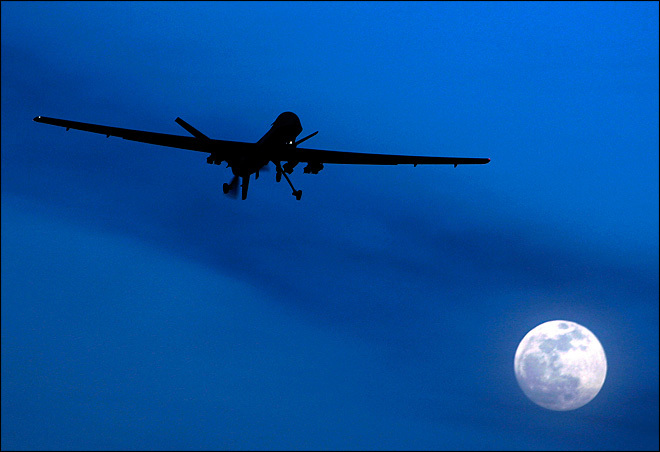 The remaining arguments against war are vaild, though not specifically attributable to drones. The campaigns in Afghanistan were not decided upon because we have UAVs, but that UAVs under the right control are a useful tool to aid our soldiers who are on the physical front line. You are right that the lack of a human pilot makes the decision to deploy UAVs easier, but that does not remove the need for a robust chain of command, using properly trained UAV operators. Rightly there is a good deal of opposition to having a war – whether you believe the war is just or not. But this cannot be laid solely at the use of UAVs; there are many more combatants using many other mechanisms to achieve their aims. Maybe a similar blog against the use of the RAF / Army / Navy is needed for balance? Pros and cons of drones.